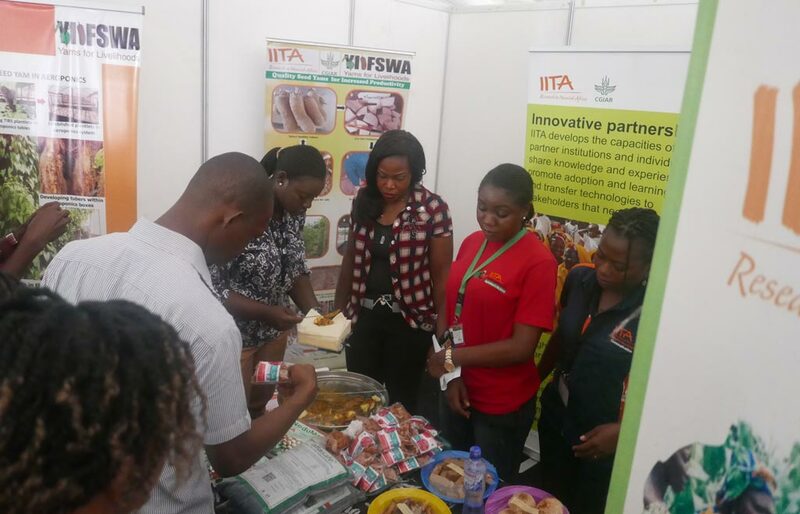 IITA had a strong presence at the recently concluded week-long “Technology and Innovation Expo 2017” in Abuja. 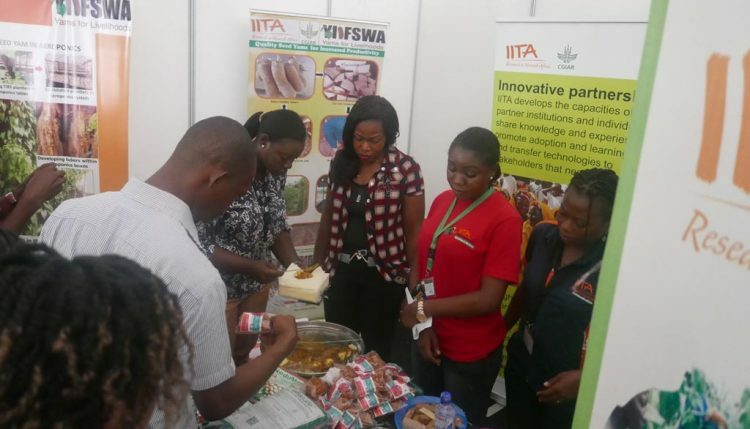 At the IITA stand, visitors thronged to see IITA’s innovations and technologies. From the first to the last day of the event, visitors were keen to know more about the use of NoduMax, Aflasafe, and aeropronics. They also tasted several cassava and yam-based confectionery including the popular “African salad”, also known as, Abacha. Several high-profile visitors toured the IITA exhibition stand, including ministers, senators, diplomats, and a high-powered delegation from the National Institute of Policy and Strategic Studies (NIPSS). The Expo is organized by the Federal Ministry of Science and Technology every year. The theme of this year’s Expo was “Science, Technology and Innovation for Nigeria’s Economic Diversification”. This is the first time that the Abuja station has represented IITA in a national exhibition, providing an opportunity to advertise the Station. “Now we know IITA is in Abuja; we will visit you soon”, was a recurring comment from visitors. I am a retiree interested in farming. I have just acquired a 64 acre farmland at Olopade, Oyo state. Please how can i obtain the improved cassava seeds and other inputs that are useful to help my cause. Hello Kunle, thank you for your message and interest in improved cassava seeds. We have passed on your request to out IITA Youth Agripreneurs (http://youthagripreneurs.org/). We hope to hear from them soon. Thank you.